Expanded to 100 registers & 1000 program lines. Variable size up to full screen or larger. Save and Load memory & programs. Paper Tape option for calculation tracking. Download the fully functional 30-days Trial Version. 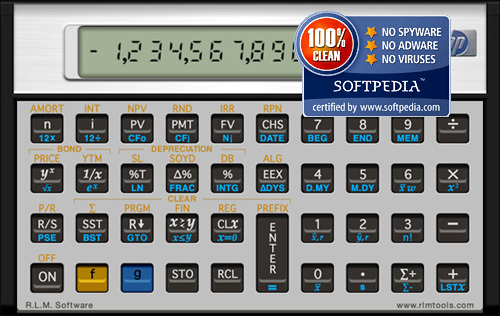 Try it and, if you want the "Full Version" pay the shareware fee through PayPal. The Unlock-serial number will be send by e-mail within 48 hours.